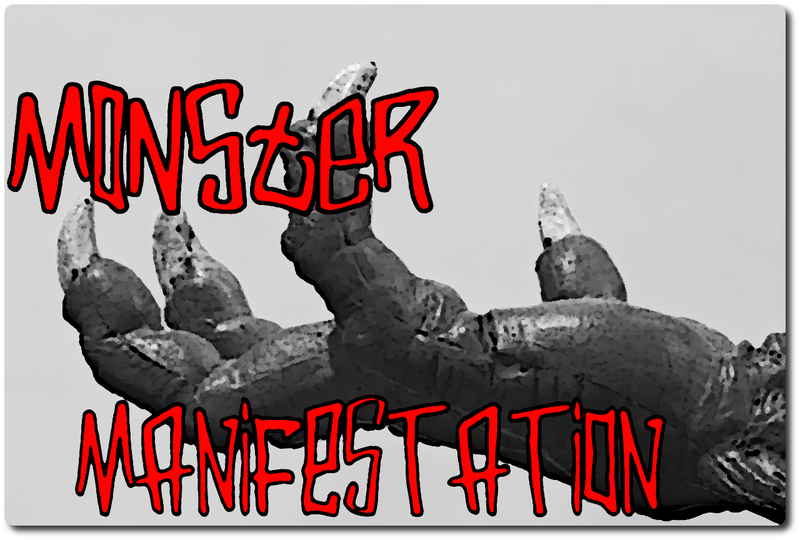 Welcome to Monster Manifestation: a nightmarish experimentation where monstrosities are born and pieced together to unleash a little hell upon humankind! First, allow me to introduce you to the Monstotron 9000 85-MC; a forsaken technology that allows monstrous entities to manifest with a simple pull of a lever….and some noxious chemistry. No one knows for sure who built this machine, they say engineers who constructed it are not of this galaxy. Others say it was made from a mythical scientist named Dr. Wallace H. Hornwell, a madman who owns numerous tomes of knowledge written from civilizations out of synch with mankind’s understanding of history. A few say the Monstotron 9000 85-MC spontaneously combusted into existence due to its own willpower. …even fewer claim it was pieced together by a society of nightmarish Lunarians that inhabit within the eternal shade of a lunar crater. I’ll do the honors and cook up our first monster. In order to prep for creation, the machine needs to be fed. Let’s see what happens when I pour in this oily sludge, and vial of translucent acid. The Monstotron 9000 85-MC shakes as muffled screams emit from inside. Reddened mist expels out the sides through strained, corroded vents. A latch unlocks a steel door into a deafening echo. For a few moments, the monster stands enveloped inside the mist, only its silhouette definable. The limbs of this nightmarish entity are spindly, twice the length of any human. The Flesh Stalker’s wiry appearance gives way to thoughts of meekness and malnutrition. Muscle wraps around limbs in a pathetic attempt to keep it together. Fingers protrude from hands into spires that taper into hideous points like a stalagmite that ascends toward a cave’s dark heights. Multiple joints articulate the Flesh Stalker’s fingers into multiple segments, so that no matter the hand’s position, fingers are able to bend in any degree possible. This grants the Flesh Stalker the ability to always be able to rake upon its prey. The articulation continues up its arms and legs, which means there’s never a vulnerable position it can be in; if an angle is possible, the Flesh Stalker will fulfill that possibility with an unexpected twist (literally). The Flesh Stalker’s feet are gnarled into crooked talons that balance the little mass placed upon them. 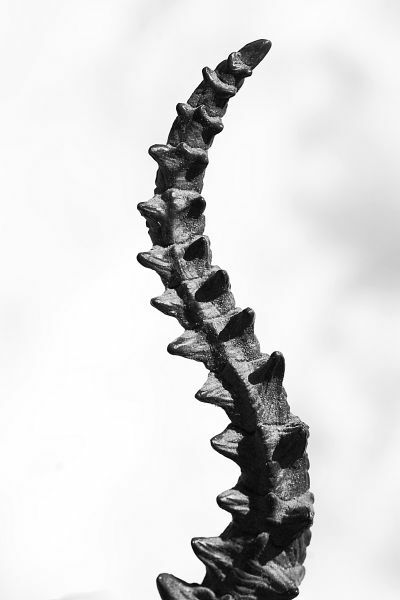 Mostly composed of bone and cartilage, it lacks tendons or any kind of biological fiber. The feet impale the ground or any surface into a viable stabilization. Teeth? Jaw? The Flesh Stalker doesn’t need such things. The blackened needle that protrudes from its face is a gigantic, mosquito-like stylet. The Flesh Stalker uses it to pierce through any hide or scale. They prefer an easy ambush by targeting a prey’s vulnerable areas like a space between ribs or an armpit. Anti-coagulants ensure a steady flow of nutrition. An easy battle preserves energy and reduces chance of being injured. The Flesh Stalker’s delicate biology suggests that it doesn’t sustain damage. A minor cut takes days to heal. Due to the speed of its heartbeat; the liquid that fills its body would spill out into the world within minutes. The Flesh Stalker’s eyes aid in an attempt to be preemptive, those spherical, biological optics are purposely massive to capture as much photons as possible. A reflective skin coats the inside eyes to enhance any light that enters through its pupils. Various colors shimmer along the Flesh Stalker’s eyes that imprisons a variety of electromagnetic radiation. If it reflects light—the Flesh Stalker will see it—no matter the density of darkness. The only thing a Flesh Stalker trusts is itself, another Flesh Stalker or shadows. This exaggerated paranoia leads way to a reclusive personality. I have a feeling they’ll be bagged and tagged without a proper investigation—just as the Flesh Stalker prefers. Benny walks across the street to a local Snack ‘n’ grab and purchases a pack of Euphoria; his favorite brand of smokes. He’s lead outside by a yawn while Benny opens his newly packed addiction. He fetches for a lighter as he feels a slight pressure behind his back. Benny turns expecting to see a bum in the shadows with a long stare of jealousy—instead he sees darkness. He turns away to light a smoke when a momentary blur collides from behind and knocks him to the sidewalk. Benny’s face grinds into pavement as a slight numbness manifests behind his neck. Weakness talks him out of a struggle while the Flesh Stalker maneuvers its mouthed-needle further inside his spine. Eyes independently move in every direction to the sound of disturbances in the immediate area.